An electric blanket or mattress pad is a useful piece of bedding to have. Most people buy it with the primary intention of keeping warm and toasty during the winter, while others have therapeutic benefits in mind. Whatever the purpose you should acquaint yourself with the type of features that these products have and how they are constructed, to give you an idea of what kind of product will be the right one for you. The need for safety when using these products cannot be over emphasized. Most if not all products have automatic timers or shut off features incorporated to avoid any unfortunate accidents. Blankets usually have a ten hour operation period before they shut themselves off. This is to prevent yours from running continuously if you forget to turn it off. If you do not want it to run for 10 hours before it shuts off, the blanket can be set to shut off before this. The flexibility of that feature will depend on the product purchased. Some blankets now have a feature that adjusts to your body heat, your preferred temperature, and the heat from the room around it. If the blanket seems to be getting cool in one area, heat will be sent there to stabilize to provide consistent heat levels throughout the blanket. 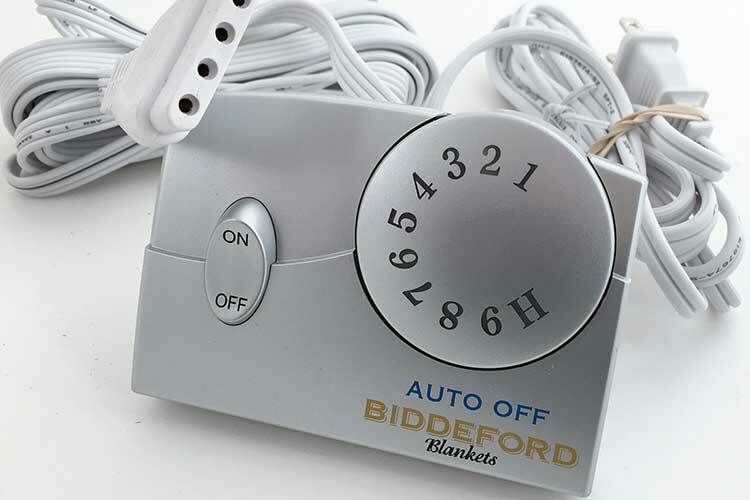 It will also self-adjust and lower the blanket temperature or shut off if it senses overheating. Blankets come in a variety of textures; they’re usually constructed from 100% polyester or a polyester blend. The names to look out for are fleece, Sherpa, and microfleece, to name a few. You should familiarize yourself with these textures and choose the one that you are most comfortable with. Many blankets have a pre-warming feature that allows you to warm the bed quickly and hold it at a certain temperature until you decide to go to sleep. Thereafter you can select your preferred temperature before you settle down for the night. The heat settings available depend on the product that you bought and the product type. Heated throws, for example, typically have only three heat settings while heated blankets can have up to twenty. The choice of heat settings available are most times, but not always, related to the cost of the blanket or heating pad. Heating blankets and pads traditionally use 120 volts of AC power. However there are now some products on the market that are converting that AC power to DC power by using a conversion box, and then the voltage used is approximately 48 volts of DC power. The benefits are that the blanket is deemed to be safer and less likely to be a fire hazard and it also uses less energy overall, therefore there is even more cost saving involved when compared to a regular electric blanket.